Your Mercedes-Benz Sprinter is a powerful towing vehicle. It’s perfect for family road trips or long days out in nature. Whether you bought the brand new 2017 Sprinter or you have an older model, you want your car in good hands. At Mercedes-Benz of Westminster in Colorado, we understand that. Having been awarded the Best of the Best title from our customers for five years running, we’re a renowned dealership with new and pre-owned Mercedes-Benz vehicles. We’ve also been rated as one of the top-volume dealers of Mercedes-Benz in the state. Of course, we do more than sell cars. We also have a service and parts team. Mercedes-Benz of Westminster is excited to announce that we just opened our new service center. Whether it’s time for an oil change and other routine maintenance or your Sprinter is having trouble, why not bring it to us? We’ve expanded the services we offer to make Mercedes-Benz of Westminster your one-stop shop for all things your Sprinter or other Mercedes-Benz vehicle needs. All parts of our facility are brand new so we can service your vehicle more quickly and efficiently. Our talented technicians are all certified, trained, and happy to help. You use your brakes every time you drive, but these can’t last forever. However, if your brakes aren’t reacting to your foot, this can be very dangerous for you and other drivers. Our technicians will inspect your brakes, change these out for OEM brakes if necessary, and repair other issues. We also inspect and clean brakes. When was the last time you’ve got your tires checked out? These too don’t last forever, and if your tires deflate when driving, this can again be a very risky scenario for everyone on the road. Bring your vehicle to our technicians. They’ll check tire pressure and replace old tires. You can choose from your favorite tire brands at our service center. Our technicians will run a full checkup on your Sprinter or other Mercedes-Benz vehicle. This includes inspecting tires, brakes, fluid levels (including oil), and much more. Our A/B services are two-pronged: A services check the maintenance counter, brake components, tire inflation, and fluid levels. You need to bring your car in for A services after a year or 10,000 miles, whichever comes first. B services check the maintenance counter, brake component, tire inflation, fluid levels, brake fluid, and cabin combination filter. Are you ready to bring your vehicle to our service center? 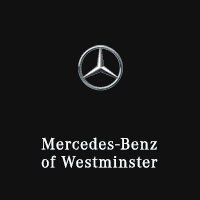 At Mercedes-Benz of Westminster, we serve Lakewood, Aurora, Boulder, Denver, Westminster, and other nearby areas. Our service center is open six days a week (closed on Sundays), with weekday hours from 7:30 a.m. until 6 p.m. Monday through Friday and weekend hours from 8 a.m. until 4 p.m. on Saturdays.